The Otherworld Cycle is the culmination of over fourteen years of research of the Finno-Ugric traditions and music. The Cycle consists of a series of new compositions and improvisations inspired by the poems of the Finnish National Epic known as the Kalavela, as well as Karelian regional folk songs, and Sami Joik song elements of the native peoples of the north. 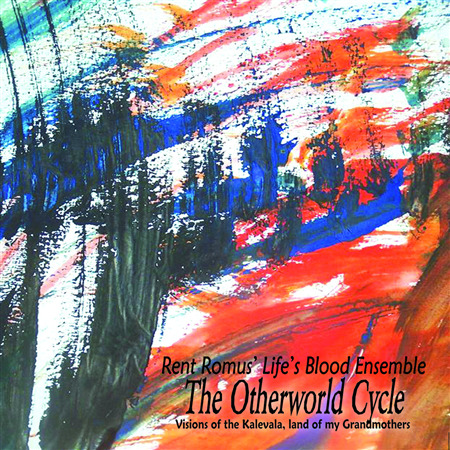 The “other world” thematic, abstractly references the lost Finnish heritage and “Body of Memory” embedded in Romus’ musical psyche refracted through the multi-faceted lens of improvisation and postmodern jazz. The first elements of the Otherworld Cycle took hold after Romus returned home from touring in Northern Europe in the mid-nineties. His experiences lead to continued research into the rich music and culture of his roots from Finland and the surrounding regions that hold a long and mystic history dating back to the end of the last ice age. Like many Americans whose families emigrated from other parts of the world, much of the details of Romus’ cultural identity, language and traditions were lost to integration over time. As a third generation Finnish American he has spent the last fourteen years delving deep into his roots piecing together stories from his family, photos of family members, and researching the depths of Finnish cultural history land of his grandmothers.